Fill to the top with margarita. Enjoy !! If you prefer your Margaritas on the rocks: you can omit the ice from the recipe, make the margarita mix early and refrigerate. 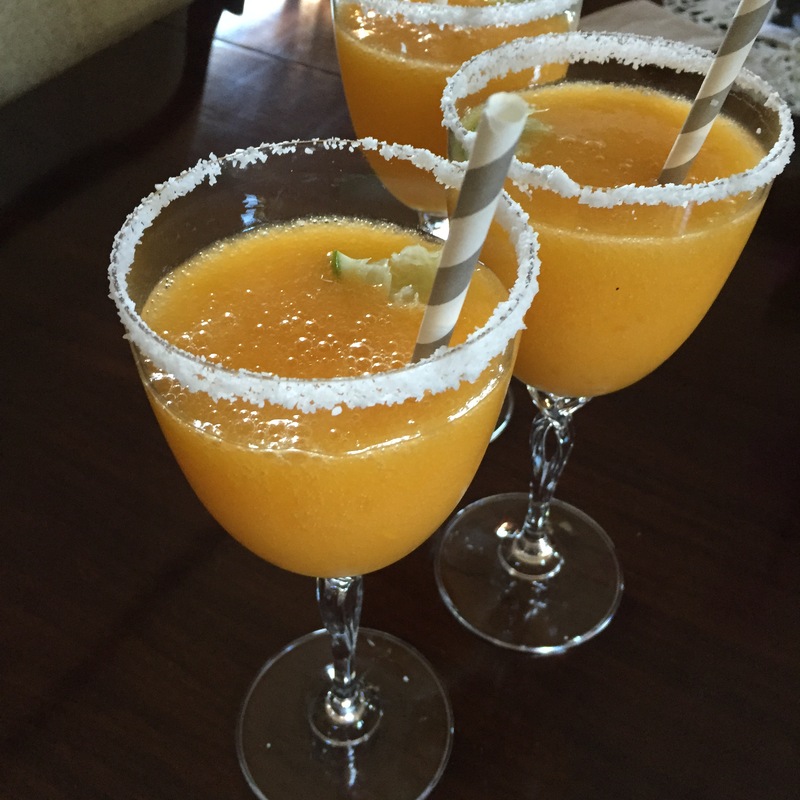 Then blend mangoes and mix and serve over ice. This entry was posted on Wednesday, May 6th, 2015 at 10:01 pm	and posted in Category. You can follow any responses to this entry through the RSS 2.0 feed.